Amazing Aztecs online slot offers a straightforward, uncomplicated icon-matching game of betting on spin outcomes. Here, a minimum of three (3) alike symbols need only to land on adjacent positions starting from the leftmost column, to garner a reward. The game though, does not have a Wild Symbol to offer as win-boosting element. 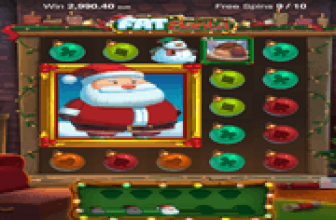 It may even come as a disappoint to know that it does not have a Free-Spins Round, to look forward to as Bonus Game. Nonetheless, every win here has potential to trigger a Respin Feature that can bring BIG WINs in Epic or Mega proportions. Although occurring only at random, triggering the Respin also unlocks a Giant Symbol; making a free roll quite capable of delivering amazingly huge wins! After all, Just for the Win configured 243 ways by which winning symbols can land as paying combinations; without need to heed a specific pattern. Awesome even is that the game, unconventionally bases payouts on the current Total Bet. The Amazing Aztecs Game Logo awards the highest Total Bet Multiplier. A spin that comes up with 3, 4 or 5 Logo Tokens positioned consecutively from the first reel, garners a reward equal to 2.5x, 5x or 10x the Total Bet. If a winning Amazing Aztecs Logo triggers a Respin, the forthcoming rewards will be significant. The free roll may even produce a colossal Amazing Aztecs icon capable of bringing multiple winning combinations. Every winning spin has potential to trigger this feature. After payout evaluation, the grid might launch a respin. If it does, one of the symbols held by the middle reel (Reel 3) will be selected arbitrarily. The selected icon will then reappear as a huge block of image occupying several adjacent positions. Giant Symbol – After a Reel 3 icon has been selected, a Giant Symbol emerges in one of three (3) available dimensions: 2×2, 3×3 and 4×4. While in view as a huge image, each block consists multiple 1×1 units of the featured icon. A 2×2 Giant Symbol carries four (4) identical images. On the other hand, a colossal symbol occupying three rows of three contiguous reels (3×3), furnishes nine (9) alike images. It comes without saying that the 4×4 Giant Symbol can bring the most rewarding impact; furnishing as many as sixteen (16) of-a-kind symbols positioned next to each other. Even if only a portion of the Giant Icon is in view, all visible units can still form or complete a win. In a game that has less rigid requirements when evaluating winning combos, a Giant Symbol that randomly takes position in Reel 1, has the highest potential for producing Big, Big Wins. This Amazing Aztecs bonus feature though does not reset despite winning Respin results. Players must land another regular winning combination, in order to set off another Giant Respin. All 243 win lines are available on every spin. The array of bet values to activate each spin, ranges from 0.10 to 100.00. 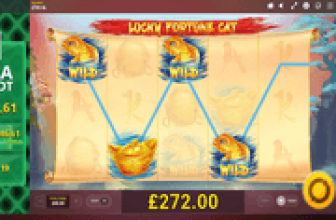 Unlike traditional icon-matching games that base rewards on the current Line Bet, this JFTW/Microgaming online slot calculates winnings based on the current Total Bet. 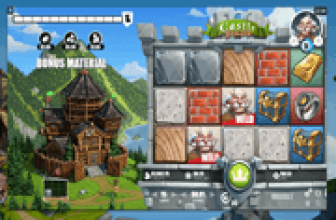 Amazing Aztecs online slot may seem like a typical icon-matching game with only a Respin to offer as bonus feature and a Giant Symbol to boast of as win-boosting element. The great news though is that the game randomly sets off both the Respin and Giant Symbol on any win event. Once a free roll activates, an arbitrarily selected symbol emerges either as a 2x2, 3x3 or 4x4 icon, capable of creating multiple winning arrangements.